← Round Up, Round Up! Not only is this beverage bar sentient and self-aware (I am delicious!) but thoughtful, too! It wants you to be happy. 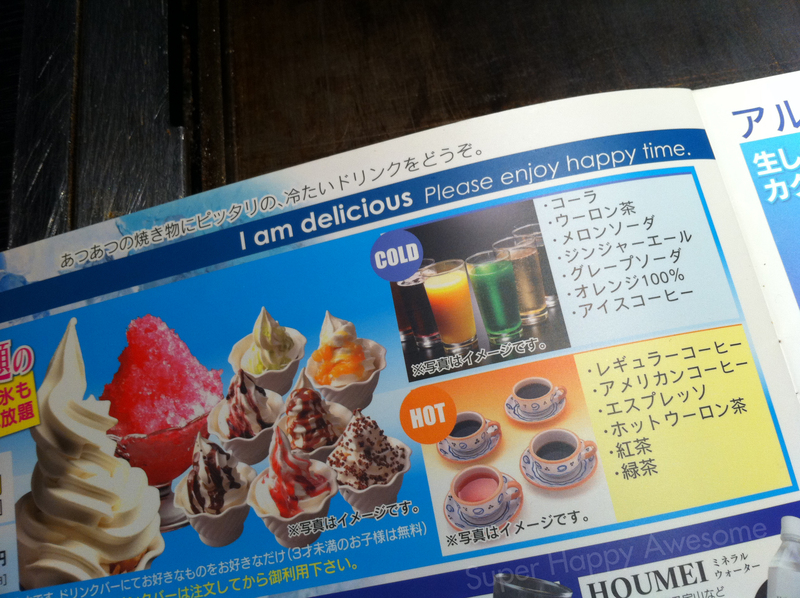 Please enjoy happy time! Isn’t that nice? Oh! And though the Japanese Imperial Family canceled their attendance at the Royal Wedding in the wake of recent events, apparently the Tokyo Tower is festooned with hearts in celebration! Does anyone have a better shot? I’d love to see it. Is it real, or too blurry to be true? What do you think of the decoration? hmm, from my window, I can’t really tell if the Tower looks any different today than yesterday. Not close enough, alas. Yeah, there aren’t really any identifying marks, so I have to wonder if it’s actually the Tower! And by the way, I am a huge fan of happy time.